Today starts the new challenge at the Great Impressions Blog. 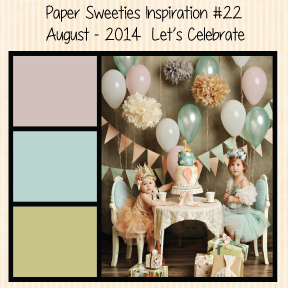 This month we are all about Birthdays! There are so many awesome Birthday Stamps that you can see here. 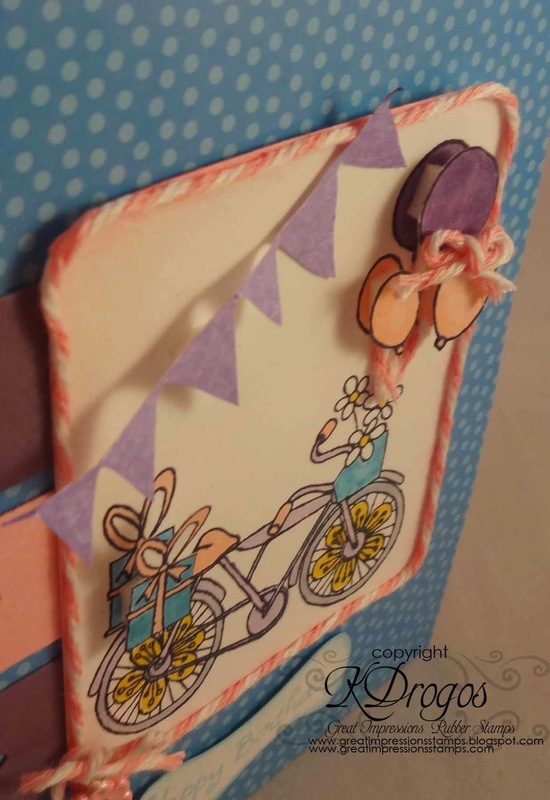 For my card I used E846 Flag Banner, G504 Birthday Bicycle and B240 Sweet Happy Birthday. 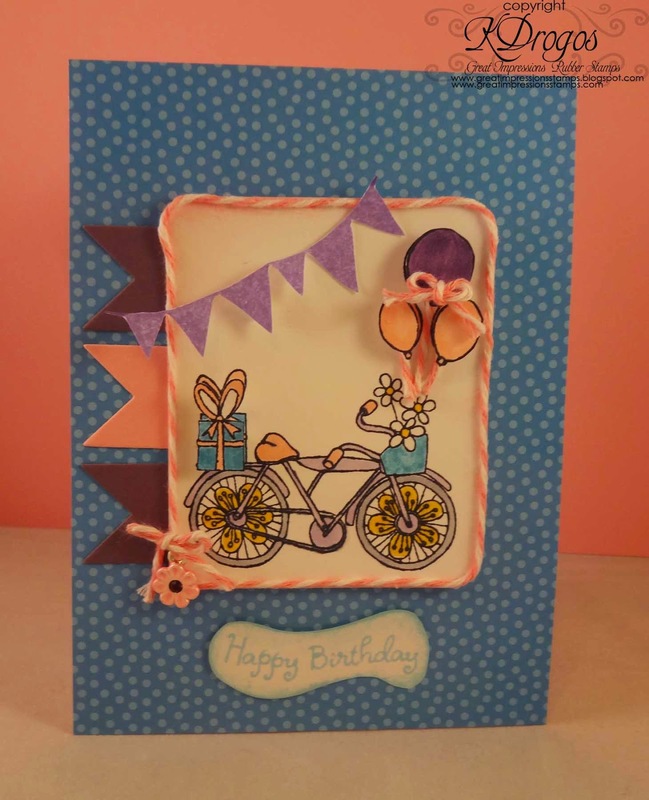 I totally love this little bicycle! I stamped it a second time and colored it. then I cut out the balloons and the the present. I used pop dots (I had to cut the pop dots in half for the two smaller balloons. After I stamped the banner, I fussy cut it out and pop dotted it. I cut out the banners on the side with a die cut machine. I glued the twine around the frame and for the strings on the balloons. Where the twine met in the left hand corner, I added a charm. Thank you so much for stopping by! I can't wait to see your birthday cards! Until next time my friends...who wants cake? Beautiful! I loveeeeeeee that bicycle!!!! aww great take on the challenge.. such a sweet card..